The Ubuntu Team has announced the first beta release of Ubuntu 16.10 Yakkety Yak, feathers images for Lubuntu, Ubuntu GNOME, Ubuntu Kylin, Ubuntu MATE, Ubuntu Studio. This pre-release includes the v4.4 kernel, LibreOffice 5.2, and a number of software updates that are ready for wider testing. These images are still under development, so you should expect some bugs. Lubuntu still uses LXDE since LXQT is still in development. Select apps have been updated to their GNOME 3.22 Beta 1 (3.21.90) versions. GTK 3 version of LibreOffice 5.2 by default. GNOME’s Initial Setup utility is included and enabled. Empathy is no longer installed by default for new installs. The new Characters character map utility is installed by default. The experimental wayland session is included. 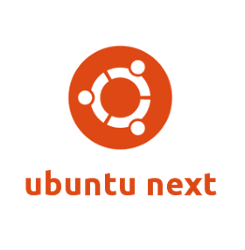 Ubuntu Kylin 16.04 fixed many internationalization and localization bugs. Ubuntu Studio 16.04 included dgedit, drumgizmo, gpick, calibre, pdf-shuffler, plume-creator. Replaced recordmydesktop with vokoscreen, and gnome-color-manager with dispcalgui. Also an updated list of packages included.